In addition to our free, outdoor summer programming, synth meets and other events, the Garden City Electronic Music Society shoulders annual operating costs such as insurance and accounting fees. 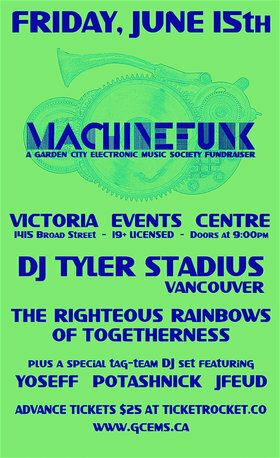 Come out and support GCEMS in its mandate to advance electronic music in Greater Victoria and beyond. 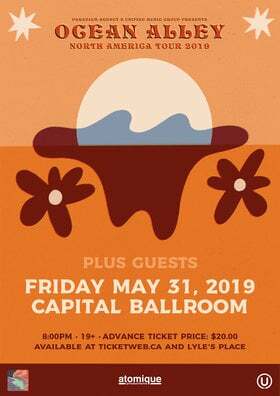 Many of our events focus on live music, and exploring more experimental genres and artists that don't get as much of a platform in Victoria. 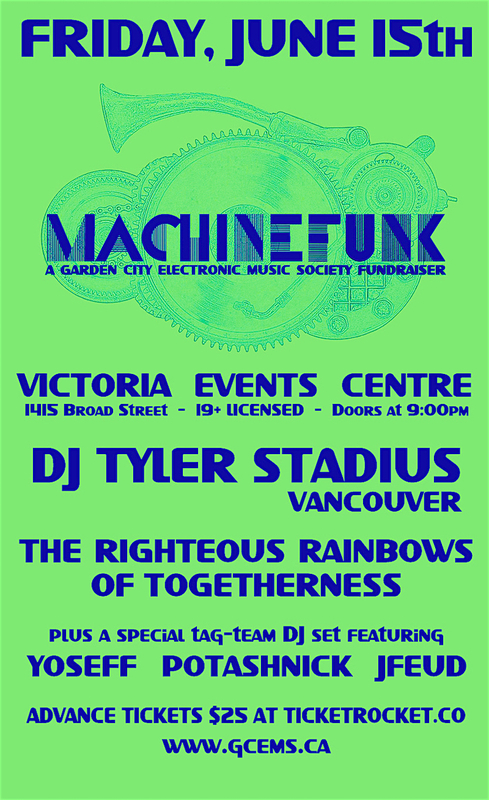 As a Society that views itself as having a big tent that includes all electronic music genres, we are excited to present MACHINEFUNK as our first dance-floor and DJ driven event. We leave it to our guest artists to define what "MACHINEFUNK" is, musically, but it will fall somewhere in the domains of house, techno, electro and breaks. The night will open with a tag-set between locals Yoseff, Potashnick and JFeud, afterwhich The Righteous Rainbows of Togetherness will set the stage with one of their legendary set of funky techno goodness - after which Vancouver's Tyler Stadius will carry us into the night. Expect the unexpected! 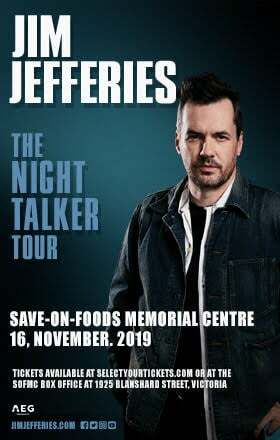 Tickets will be $25.00 and will go on sale June 1st through Ticket Rocket, and part of the bar proceeds will go towards supporting GCEMS as well. Donations are always appreciated year-round! This event will feature the same Turbosound System used at our March 3rd Electro-Acoustic event.